Page Updated:- Sunday, 30 December, 2018. Above postcard 1909. Also showing the "King's Head" and the "Bell" on the right. 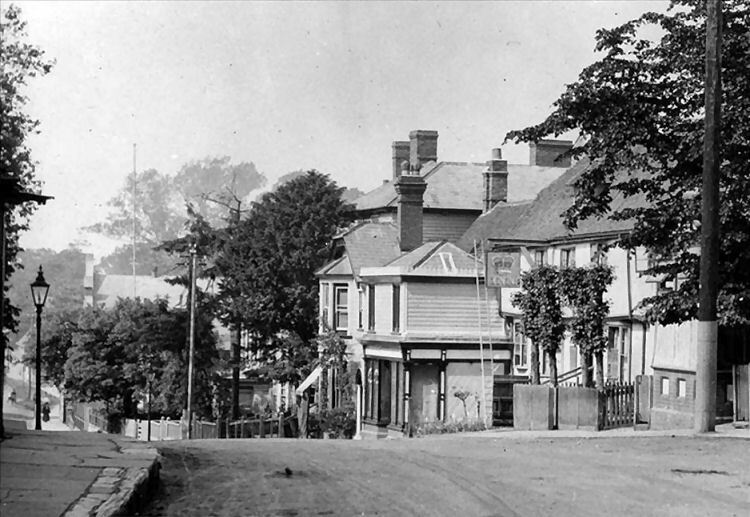 Above photo, 1910, kindly sent by Rory Kehoe. Above Google image, April 2009. Above photo showing what is now called the "Crown Cottages," circa 2017. 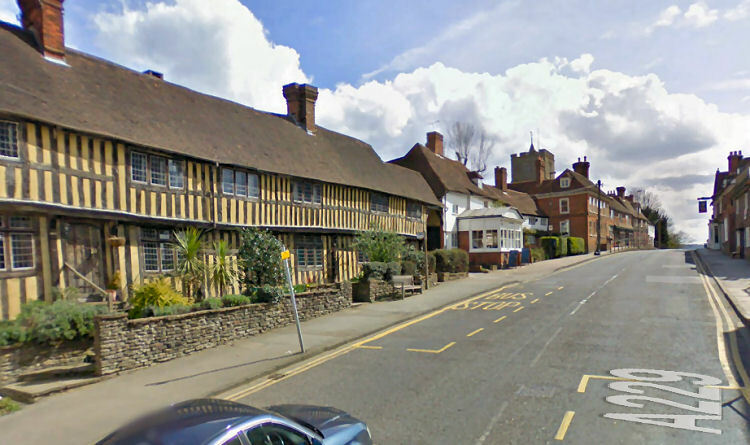 In the mid 1600's soldiers were billeted in various establishments in and around Staplehurst and the "Crown Inn" had the date 1654 painted on the wall in the soldiers' quarters. 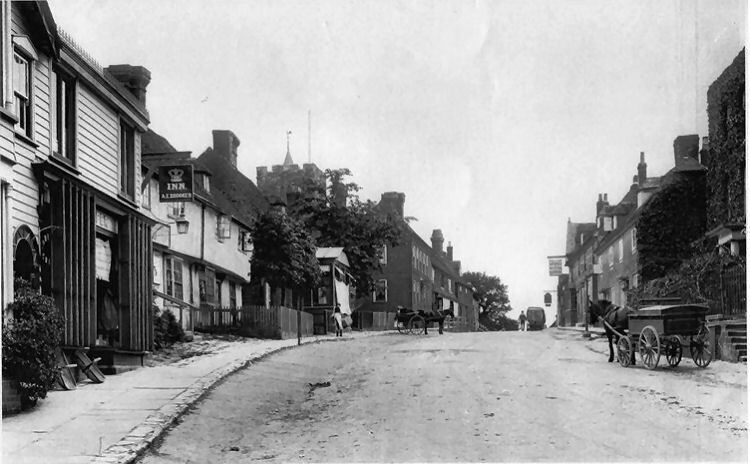 I believe the pub may have been called the "Rose and Crown" around 1661. Kent & Sussex Courier 12 April 1929. WEST KENT LICENSING. CONFIRMING COMMITTEE. The West Kent Licensing Confirming Committee met at Maidstone on Thursday. Mr. Smith Masters presiding. In all 16 applications were made for the confirmation of licenses granted by the various Justices. The majority were in respect of "on" wine licenses to licensees holding beer licenses, the evidence being that women visiting the countryside by motor preferred light wine to beer. 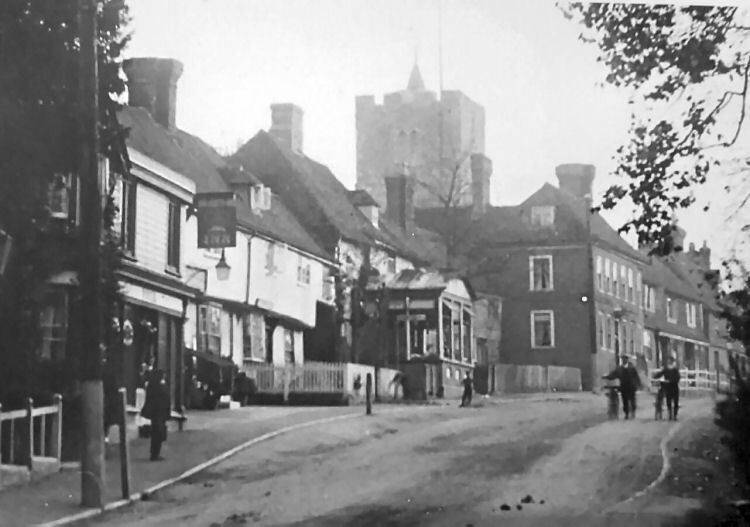 All the applications were granted, and included the following:- "On" wine license to "King and Queen," High-street, Edenbridge; "on" wine license to "Cob Tree," Ightham: and "off" cider license to "Crown Works," High-street, Staplehurst.